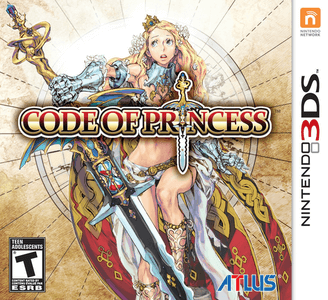 Code of Princess is a Hack and slash video game that features several game modes and over 50 playable characters. In single player mode there are available a story-driven campaign mode with several scenarios where only 4 characters (Solange, Ali, Zozo and Allegro) are playable, a 'free play' mode that allows to play any campaign scenario with any available character, and a 'Bonus Quests' mode where additional scenarios are unlocked and must be beaten with specific requirements. Code of Princess runs perfectly on Citra, until you want to try local game, or network one. But aside of that, you can perfecly complete the game, it suffers of slow downs on low end hardware and little audio issues. Graphics looks pixelated on any resolution.